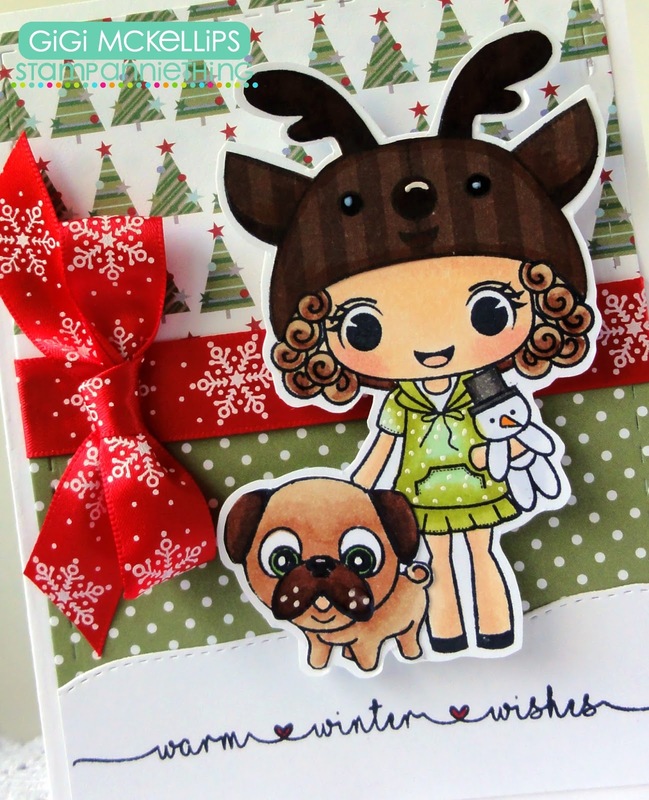 I used the Lucille-What A Deer along with the Sam-Best Buds ,for the dog, to create my card. I started this card with a standard A2 card base and added the background mats cut with the Jaded Blossom Card Mat Dies and Tropical Dies for the snow layer. I stamped and half paper/ pieced/half colored Lucille with Copic markers. I stamped the dog from the Sam Best Buds, colored him with Copics and cut him out. I then glued him next to Lucille and cut the mat around the both. 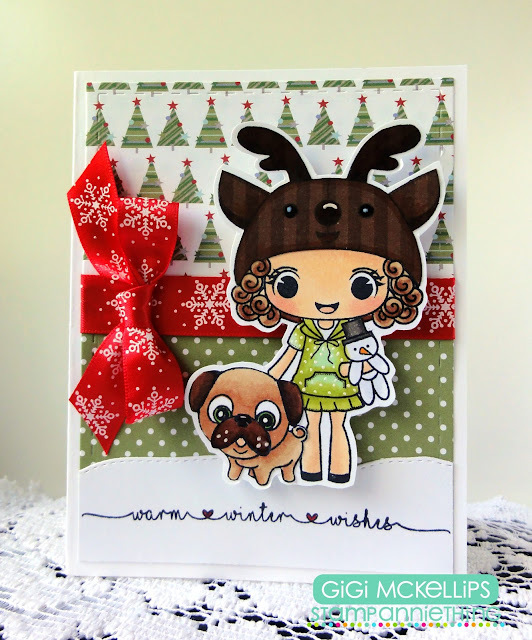 To finish, I added a ribbon and stamped the sentiment from the Fuzzy Mittens stamp set. I hope you all liked my card for today and thanks for visiting. trop jolie encore cette carte avec cette petite fille mignonne!